From the stables of Alapomeji Ancestral Records, we present to you the Valid Mixtape 4.0 from no other but the only Valid Disc Jockey to come out of Nigeria; DJ Khoded!!! 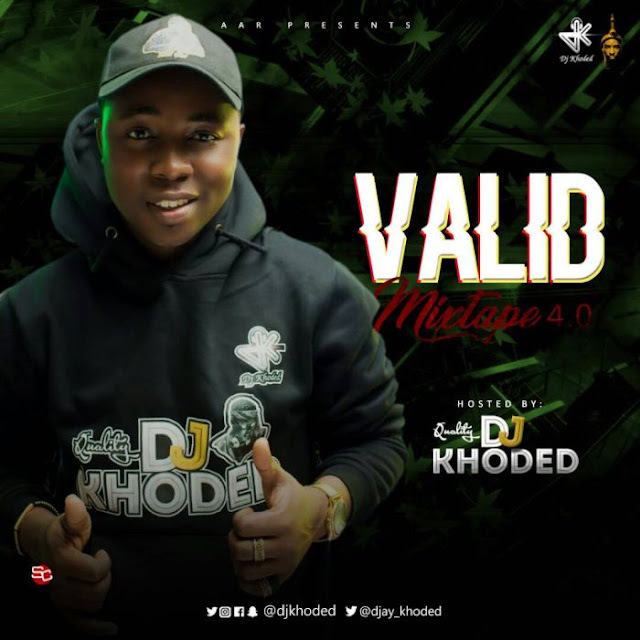 DJ Khoded is back again as he releases the 4th edition of the Valid Mixtape. The Mix houses 59 amazing tracks that will get you high on good song 😂😂 This mix is one you will never stop listening and dancing to, as DJ Khoded creatively mixes both old and latest dope jams. Important:- You can use any of the Links above to download the Mixtape. We provided 2 links on different servers to avoid slow downloads.